Leo was born on July 11, 1924 in Upper Sandusky, Ohio, to Nobel and Ethel (Caldwell) Larick-Williams, both of whom are deceased. He married Frances Taylor on August 11, 1948, and she survives. He is also survived by a son, Terry (Jody) Larick of Harpster, and a daughter, Teresa Beaschler of Harpster. 2 grandchildren, Jason (Leslie) Beaschler and Michael Beaschler, and a great grandchild, Hayden Beaschler, along with a sister, Mary Lou Gillen of Upper Sandusky. in the US Army with the 101st. Airborne Division. During his service, he was involved with the Invasion of Holland, where he was shot down and was missing in action for 37 days, before the Dutch Underground helped to reunite him with his division, which later on in the war participated with the Battle of the Bulge. He worked for the Rail Road, Colby’s in Bucyrus, and then retired after 39 years as a tool and die maker with the former Westinghouse/AO Smith in Upper Sandusky. 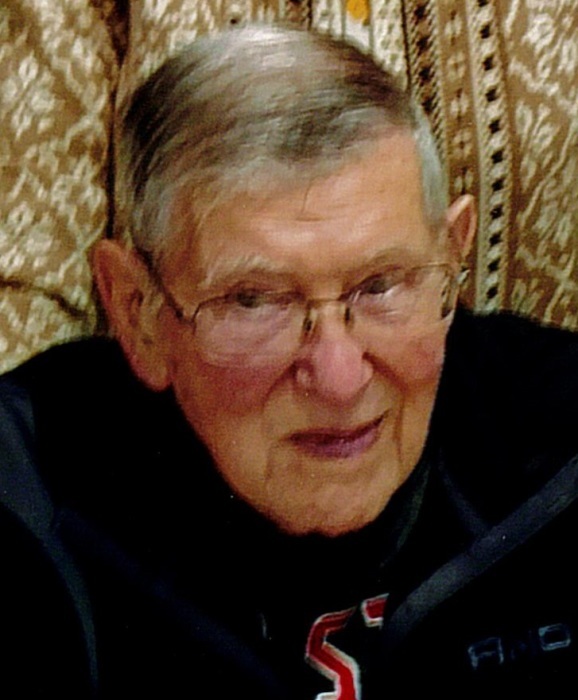 Leo was a member of the Harpster United Methodist Church, and for hobbies he enjoyed fishing, hunting, including going to Canada with his son, Terry, to hunt bears. Funeral services for Leo Larick will be held at 11:00am Friday, November 30, 2018 at the Lucas-Batton Funeral Home in Upper Sandusky. Burial will follow at Oak Hill Cemetery, where military gravesite rites will be conducted by the Upper Sandusky Color Guard. Visitations will be held on Thursday, November 29, from 4:00pm to 7:00pm at the Lucas-Batton Funeral Home in Upper Sandusky. Memorial contributions may be made to the Harpster United Methodist Church, Hospice of Wyandot County, or the Pitt Township Fire Department and can be sent to Lucas-Batton Funeral Home, 476 S. Sandusky Ave. Upper Sandusky, Ohio 43351. Pitt Twp. Vol. Fire Dept.